The explosion of content — especially unstructured content — is an opportunity and an obstacle for every business today. 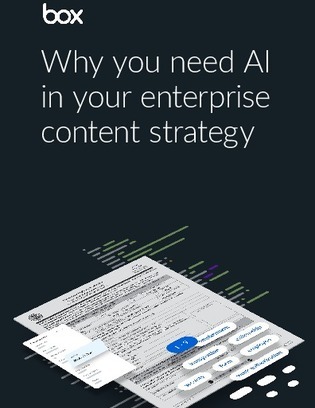 Why you Need AI in your Enterprise Content Strategy details how the emergence of artificial intelligence is a game changer for content services because it can deliver business insights at scale and make your employees more productive. Get your hands on this e-book to learn how you can reap the value without recruiting a team of data scientists to build AI/ML from scratch.